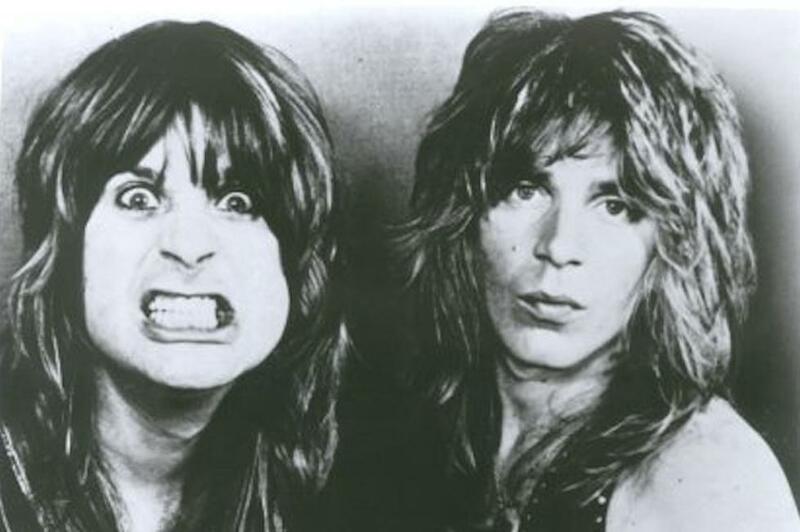 Over the years, few heavy metal frontmen have proven their stamina and staying power like Ozzy Osbourne. After eight years and eight albums with the legendary Black Sabbath, Osbourne left the group in 1979 and it looked as though he was hanging up his microphone and abandoning the rock spotlight for good. But Osbourne is no quitter. In actual fact, he was only taking a well-deserved break and making plans for a comeback assault on the hard-rock charts. And just last year that comeback became a reality with the album Blizzard of Oz, which sold over a million and a quarter copies in Britain and the U.S. alone. 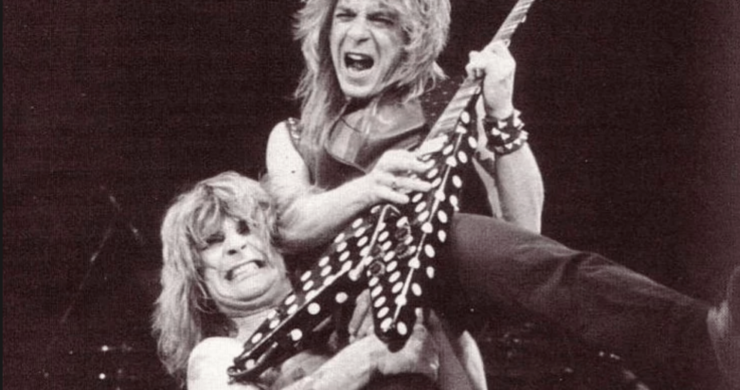 With his latest album, Diary of a Madman, and a huge concert show that costs him $100,000 a week just to keep on the road, Ozzy is determined to reach the pinnacle of heavy metal success, even though that goal has taken a tragic and, for Ozzy, personally devastating setback with the death a few months ago of exceptionally gifted Randy Rhoads, the guitarist whose personal touch had a lot to do with the success of Osbourne’s first two albums. 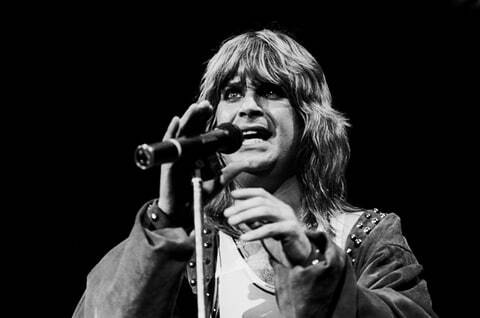 Not one to give up, even in times of emotional stress, Ozzy is continuing his 1982 World Tour, one that will take him, after Vancouver, to Alaska, Hawaii, Australia, China and Japan. I talked to him recently about his late friend and band member, the current stage show, and his old band Black Sabbath. How’s the tour going, Ozzy? Phenomenal. Though we’ve had our ups and downs. I had a real bad throat infection and had to take a couple of weeks off. And I’m now suffering from a torn ligament in the knee from when I was performing on stage. I twisted it. But apart from that everything’s going fine. How is your new guitarist, Brad Gillis, working out? Brad’s working out fine, he really is. Every time we play he gets better and better. He’s an unknown guitarist from San Francisco. Through Pat Thrall, who used to play with Pat Travers. He put me onto him. Is he filling the high-class shoes left by the late Randy Rhoads? Well, he’s a different style guitar player on stage, but he plays all the licks. I mean, to get somebody as good as Randy, I’ve given up trying to look. Because after the death of Randy, I was very bitter for a long while, and to anybody who came along and auditioned I said: “Go, I don’t want to know”. I was trying to find the same kind of player, and you can’t. Randy was a one-of. Let’s face it, you can’t get anyone to beat Randy because he was the best. But Brad’s near enough. I mean, you’ve got to give people a chance, and it’s a pretty big hole to fill in. I don’t think many people could ever stand where Randy stood, and you’ve got to give anybody who tries to stand in credit for what they’re doing. Randy and I were just beginning to get things going real good. I don’t think the music world really fully appreciated the fact of Randy’s talent. He was incredible, he could do anything. Yeah, I know. Like on “Crazy Train” and “Over the Mountain”, some of those lead solos are just unbelievable. He was a very constructive guitar player. Like the biggest battle I’ve had is with guys who just want to do their thing with the tremolo bar. They just get on that guitar and every little gap has got this wanging guitar. Randy used it, but he used it in a constructive manner. Everybody else thinks you’ve got to make a row with it. How have you found the Canadian audiences? It’s funny because, I found last year that Toronto was really “up up”, but in a lot of other places audiences seemed to be thinking, “What is this guy all about?” There were a lot of kids who never even heard about me, or they heard of me but never saw me perform. So I don’t think they really knew what to expect. A lot of bands tend to forget Canada, neglect it a lot, because everybody concentrates on America. Last year was the first time I played in Canada for about eight years, and Toronto was amazing, but at all the other places they were thinking, “What does he want us to do? What have we got to do at an Ozzy Osbourne concert?” But I’m keeping my fingers crossed for this time. I hope people go a bit crazier. No, we used to, but we had to stop that. We got a fair amount of complaints, and it went a bit over the top, so I put a stop to it. And I don’t kill any animals on stage, if anybody’s worried about that. What was all that fuss about you biting a bat’s head? Yeah, that happened. Somebody threw a live bat on stage, and I thought it was one of those fake things, you know. But I bit it, and it was real. I went to have rabies shots, but I didn’t actually contract the disease. It’s phenomenal. I guarantee that you’ll be blown away by it. It’s very gothic, like the cover of Diary of a Madman. There’s even the hanging of a midget. It’s all very theatrical. 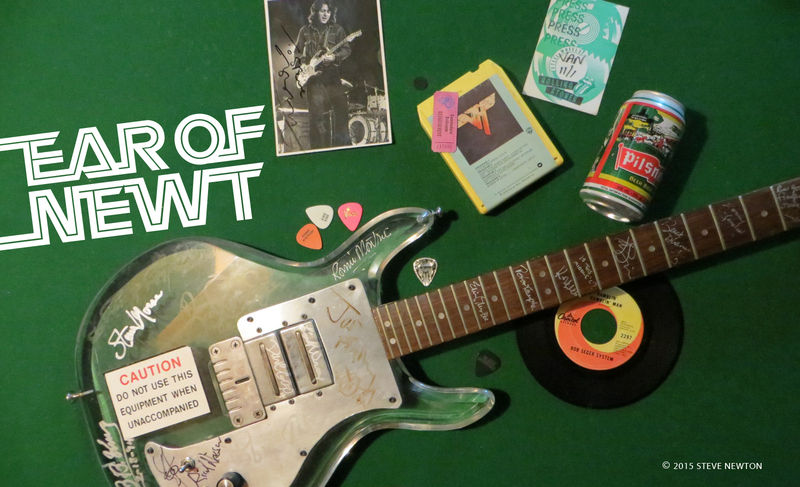 How important do you think theatrics are to heavy rock? Well the thing is, I’ve never done it, but it’s what I wanted to do for a long, long while. It’s quite well done. People get freaked out when it comes on. When it starts the curtain drops, and it’s just there in front of you, and you go, “Wow”. It’s a real big setup. It costs me a fortune to keep it on the road. What do you think of the current Black Sabbath? Well, to be perfectly honest, I haven’t heard them much, except a couple of tracks from Heaven and Hell and one of those Mob Rules tracks. Is there any bad blood between you and them? Naw, not anymore. There was! But why spend the rest of my life disliking them? It’s a pretty bad situation to be in. Good luck to them. I hope they do well, because they deserve it. Yeah, they’ve been at it for a long time, and so have you. Which do you think is the best album you recorded with them? Paranoid. And there’s a few actually that I quite like. I quite like Sabotage, it’s a pretty good album. Do you do any Sabbath songs in concert? Yeah, we do “Iron Man”, “Paranoid”, “Children of the Grave”. Is “Crazy Train” an autobiographical tune? No. I think we all feel that. I mean, sometimes when you have a busy day and the phone never stops ringing you think, “Jeez, when is it all gonna stop?” It’s not just a personal song; it’s for everybody. There’s a different meaning for everything on that song. It’s what affects people and what effected me at the time. At the time of writing that, there was only me and Randy, and we were trying to get players and everything was flying at us. There was just one thing after another, you know, and I was thinking, “Oh, I’m going crazy”. You just think that you’re going of the rails on a crazy train.